Communication is vital to any healthy relationship. When we open our hearts and share our needs, hopes, desires, and fears with others we give intimacy permission to take root. 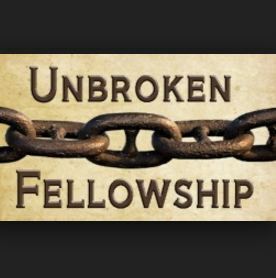 Not only did God create mankind in His own image, but He also designed us with a need for fellowship. We have been wired with a need to connect with others. When we connect with others in the Body of Christ, we will find encouragement, help, strength, wisdom, and strength. We are told to comfort others with the comfort we ourselves have been given through Christ Jesus. Relief is often found through others who have walked through similar circumstances and prevailed. God enjoys our fellowship. Although He is never lonely (think Deity), Genesis 3 mentions that He walked in the garden during the cool of the day. Was God in the habit of visiting Adam and Even on a regular basis? Randy Alcorn, the author of Heaven, seems to think so. Our fellowship with God happens as we abide in Him. To abide means to live, continue, and remain in Christ. Our thoughts are always directed heavenward. He is sprinkled in our conversations throughout the day. When we are abiding in Him we are always aware of His presence. Communication with Him is through our prayer life. Sadly, so much of our prayer life is spent uttering long lists of wants and needs to God. Although He is always happy to listen to our petitions, He also wants us to listen to Him. God is not interested in one-sided conversations. He wants to speak to His children. He actually wants to confide in us! Too often, we go to a friend with our concerns before laying them at the feet of Jesus. We should make it a habit to approach the throne of God with our petitions before seeking help from others. Yes, fellowship with other believers is vital but never neglect God’s care for you! He longs to be our shelter and provider. He wants us to lean on Him. May your Christian walk be enriched by a deeper relationship with God and from the fellowship of other believers.